Netmarble has released its financials for its Q3 FY17 for the three months ending September 30th 2017. It posted revenues of $519.4 million for the quarter, up 62% year-on-year. Net profit for the quarter also rose by 104% year-on-year to $75.2 million. Breaking this down further, 71% of its revenues came from overseas. Netmarble pointed to a strong performance in Southeast Asia, and the growth of Lineage 2 Revolution in Japan. Lineage 2 Revolution accounted for 45% of all of Netmarble's revenues for the quarter. Marvel: Contest of Champions made up 12% of its revenues, while Seven Knights, Everybody's Marble, and Jam City's Cookie Jam each generated 6% of Netmarble's revenues. Looking ahead, the company is gearing up to launch Lineage 2 Revolution in North America and Europe on November 15th. It has already roped in chat show host Conan O'Brien to help promote the game at TwitchCon. 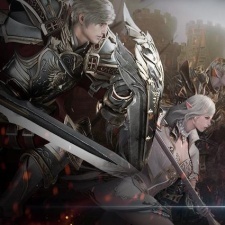 It is also preparing to launch Tera M in Korea, which has so far secured over 1.9 million pre-registrations. Netmarble will also be handling the launch of Fate/Grand Order in Korea, which is due for release on November 21st. If Contest of Champions brings in 12%, what about their primary Marvel title - Future Fight?